OMNI Health Care president and CEO Patrick McCarthy says 2018 was a hallmark year for the organization that brought many positive changes that furthered OMNI’s quality journey. “It was a year in which we made tremendous progress in a lot of areas,” McCarthy tells The OMNIway. The big news in 2018, of course, was the announcement in April that four OMNI homes – Riverview Manor, Pleasant Meadow Manor, Almonte Country Haven and Woodland Villa – would receive funding through Ontario’s capital redevelopment program for long-term care homes. G architects has been commissioned by OMNI to design a new 160-bed home for Riverview Manor in Peterborough. Riverview Manor currently has 124 beds. The firm has also presented designs for renovations to add 35 beds to the 61-bed Pleasant Meadow Manor in Norwood, 14 beds to the 82-bed Almonte Country Haven in Lanark County, and 17 beds to the 111-bed Woodland Villa in Long Sault. Construction on these sites is expected to start in the fall. OMNI also advanced its Quality Program in 2018 by increasing attention to the initiative, McCarthy says. Quality meetings in the homes were upped during the year and actions took place to focus on quality indicators, which are measurements related to every aspect of care, he says. In spring, OMNI also received a four-year accreditation from Accreditation Canada. 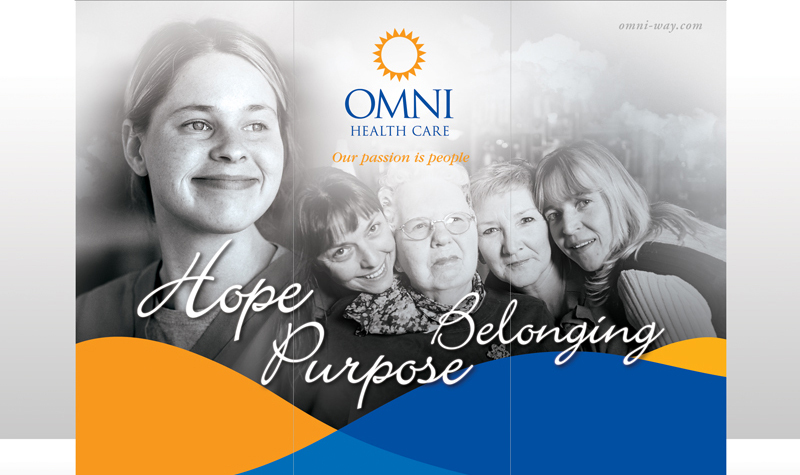 Surveyors visited OMNI’s 18 long-term care homes in March. A major highlight the surveyors noted in their reports was that each of the homes met 100 per cent of the required organizational practices, the first time OMNI has scored such a high grade in this area. “We had a very successful accreditation, we did the four-year accreditation and we had very positive remarks from the surveyors about our culture and the values that our staff hold, and the quality of our care,” McCarthy says. In late September, OMNI’s Quality Forum returned to scenic Fern Resort and married vibrant new ideas with tried and proven favourite sessions to deliver a high-energy event to managers from across the organization that focused on bringing the best possible service to residents while highlighting the strengths homes already have. An innovative new idea at this year’s event was a series of creative videos produced by OMNI homes that were screened during the forum. The videos focused on several themes, including quality care, why working in an OMNI long-term care home is an excellent career option, and what residents say they enjoy most about living in an OMNI home. This was the first time the annual Quality Forum had been held at Fern Resort since 2014, and managers were happy to be back at the venue, McCarthy says.